The easiest way to assign a keyboard shortcut for a file, folder, or program is to create a shortcut of the item and then enter a hotkey in the properties box. 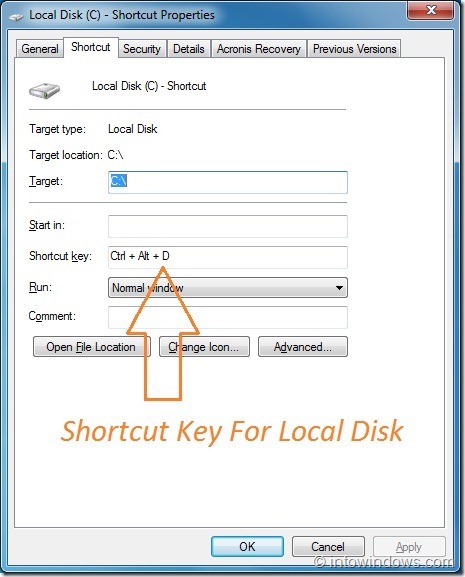 For instance, you can create a shortcut for a drive and then assign a hotkey to quickly launch it. The trick comes in handy if you are a keyboard addict and want to launch your favorite files, folders, and applications without touching mouse. But the problem is that we can’t view or manage all these new hotkeys. 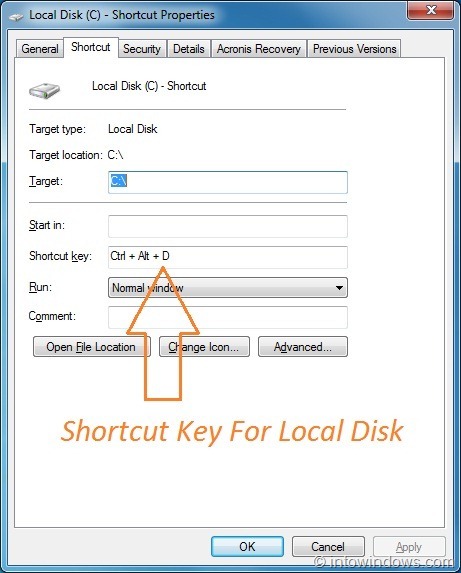 For instance, if you have forgot a keyboard shortcut of a folder, you need to launch the properties of the shortcut again to view the hotkey. So, if you have enough created enough hotkeys on Windows and finding it difficult to manage, here is a simple utility to ease your job. 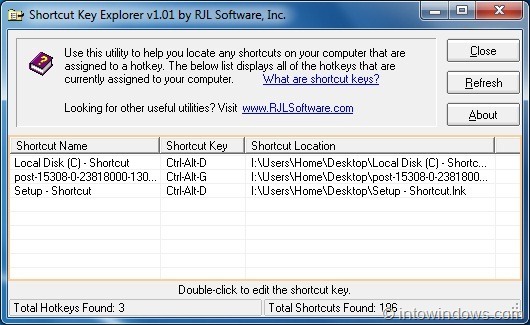 Shortcut Key Explorer is a portable utility to view all custom shortcut keys on Windows XP, Vista, and Windows 7. 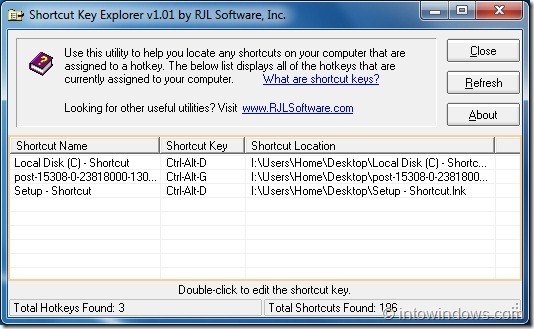 The tool simply lists all shortcut keys along with shortcut name and shortcut location. 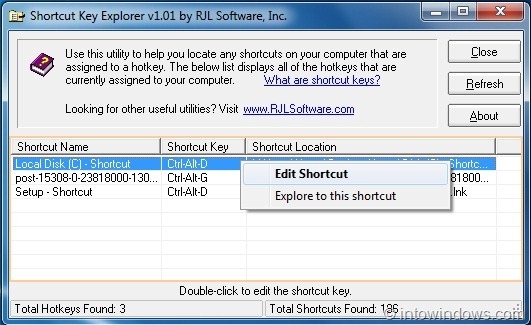 To edit an existing hotkey, simply right-click on the shortcut entry and select Edit Shortcut option. Please note that this utility is not for users who want to clear shortcuts from Windows.